Adept Scientific (Letchworth, Herts.) announces the release of a brand-new version of National Instruments (Austin, Texas) Multisim software for electronic circuit design and simulation. Multisim 13.0 is a market-leading SPICE simulation environment used by engineers, students and teachers worldwide to explore, design and prototype circuits. Adept will be supplying and supporting Multisim for the professional market in the UK, Ireland, France and the Nordic countries. Multisim 13.0 offers comprehensive circuit analysis tools for analogue, digital and power electronics. 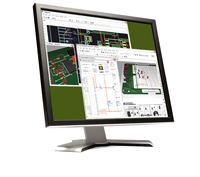 Its graphical, interactive environment and advanced analysis capabilities make it easy for users to explore design decisions and optimise circuit behaviour. 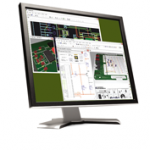 Multisim’s advanced, intuitive, mixed-mode simulation environment ensures users can optimise performance in the early stages of PCB design, reducing prototype iterations and delivering significant cost savings. “We’re delighted to bring Multisim back into the Adept Scientific product offering,” said Anna French, Adept Scientific’s Marketing Director. “We sold and supported earlier versions of this excellent product some years ago, until the previous developers decided to sell directly into Europe 10 years ago. “Later National Instruments acquired that company, and now they’ve asked us to promote and sell Multisim again to industrial and commercial customers in the European territories in which we operate. Multisim’s comprehensive, accurate, up-to-date library of components, validated by major semiconductor manufacturers, simplifies and shortens the design development process. The library of advanced power components makes it easy to evaluate the response, performance and efficiency of power electronics. Multisim makes it easy to progress through the PCB development flow from complex schematic files to parts placement, trace routing and optimisation, with export to industry-standard fabrication files. There’s a choice of configurations to suit every need and budget, with extensive libraries of ready-made components and a range of state-of-the-art analysis, layout and routing options. Multisim 13.0 is available now from Adept Scientific in the UK, Ireland, France and the Nordic region. For configurations and prices see www.adeptscience.co.uk. Adept Scientific is one of the world’s leading suppliers of software and hardware products for research, scientific, engineering and technical applications on desktop computers and has offices in the UK, Germany and throughout the Nordic region. Full details and contact information for all Adept Scientific international offices are available at www.adeptscience.co.uk; or telephone +44 (0) 203 695 7810. The training session has been invaluable. Your expertise and your patience are exemplary. It cannot be easy to teach a 75 year old new tricks but you have done so with the utmost understanding. The software is extraordinarily powerful: you have explained how to use it in simple and understandable terms.